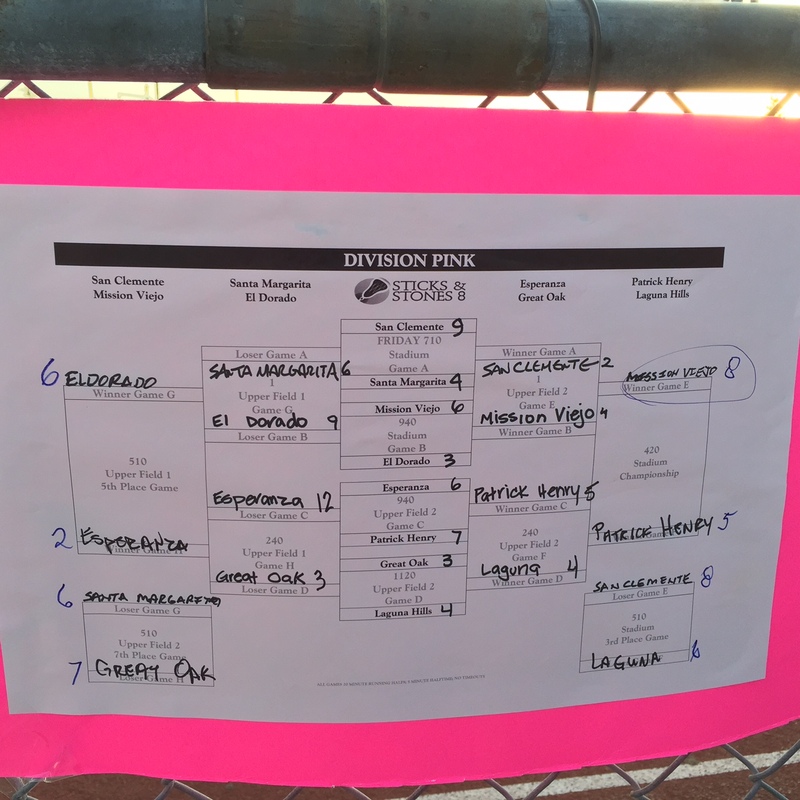 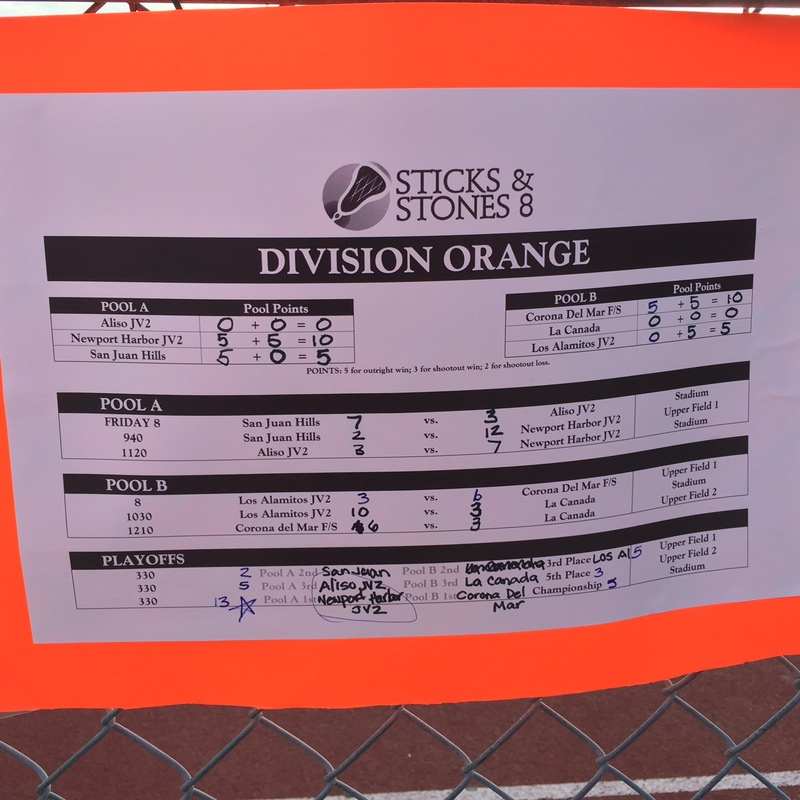 Foothill, Mission Viejo — and two Newport Harbor teams — won division titles at the Sticks & Stones junior varsity tournament this past weekend at Trabuco Hills High School. 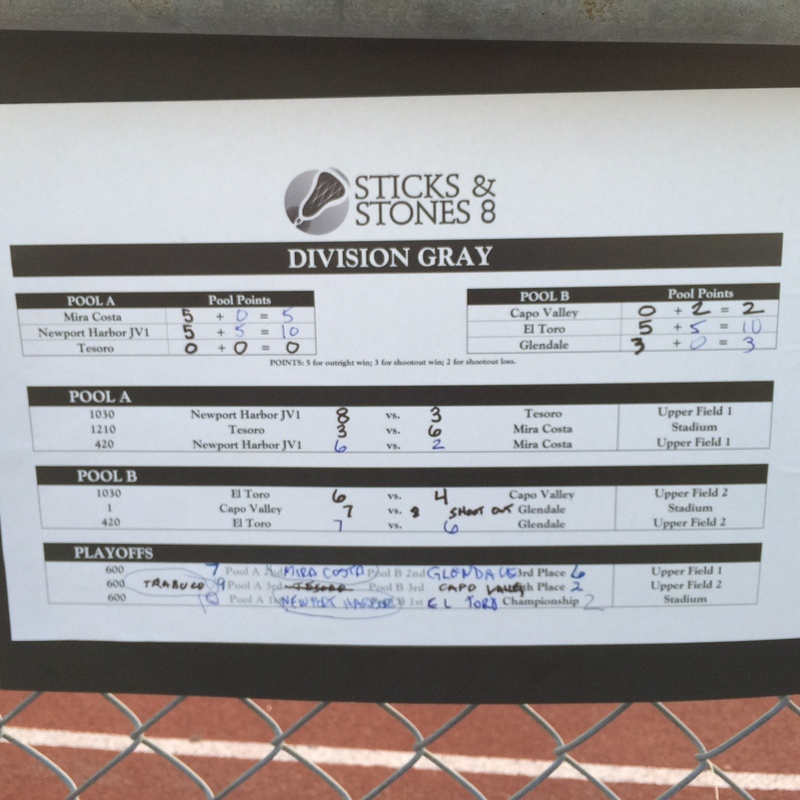 The 8th annual Stick & Stones tournament featured a record 28 teams competing in four divisions on Friday and Saturday. 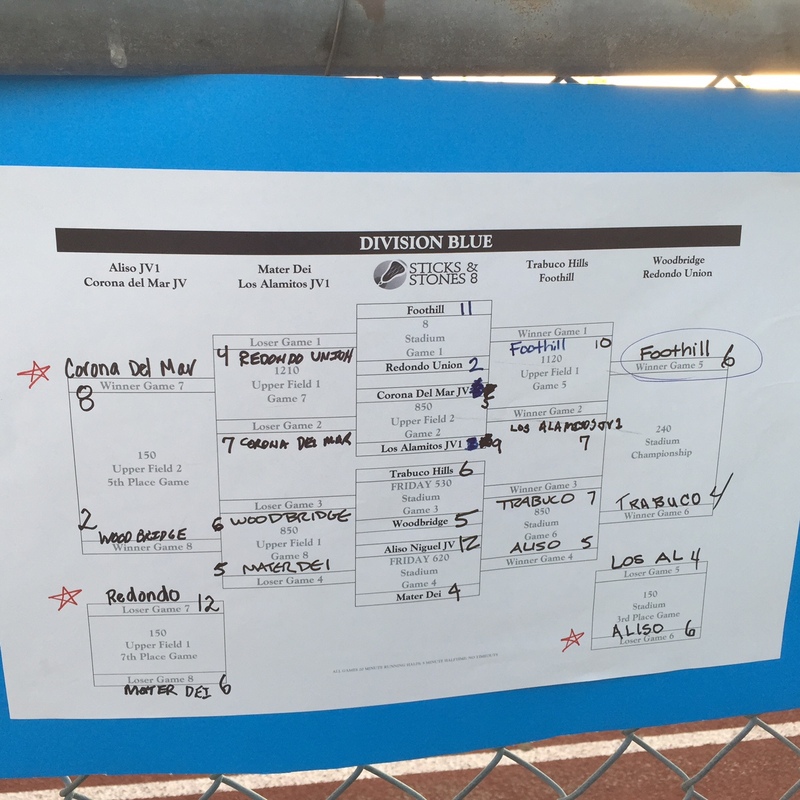 Play across the divsions was was close, with 25 of the 42 games decided by 3 goals or less.